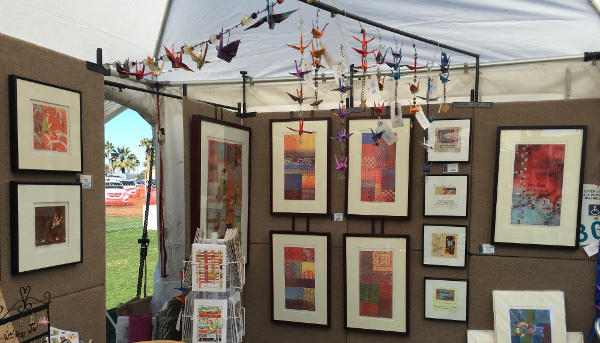 We have set up our Little Bird de Papel booth at the Southwest Art Festival in Indio, CA. The weather is beautiful and my Tyvek cranes are dancing in the breeze. 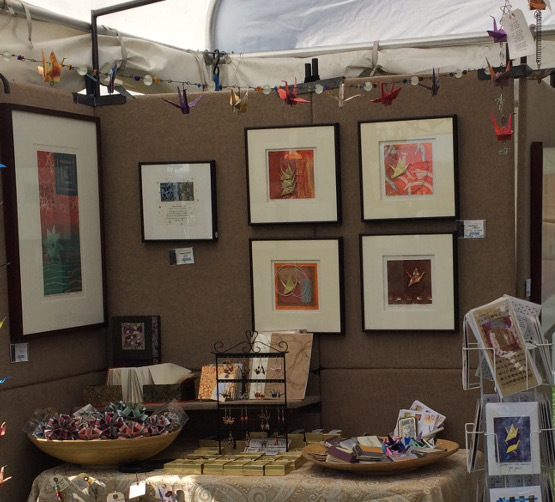 Among our offerings are my origami earrings, handmade art cards, original wall art, and, of course, my Tyvek outdoor crane garlands and mobiles.